The purpose of this policy is to guide library staff in the selection of library materials, to inform the Library Board and the general public of the principles upon which selections are made, and to declare the library’s commitment to the principles of free access to ideas and information. The Harvey Public Library community is mainly composed of patrons over the age of fifty. We select material based off of what would be checked out the most. We have increased our large print material due to the constant demand of the patrons having to turn to that size of font. To provide services which meet the needs for future generations in this ever changing world. The Harvey Public Library is committed to the principles of intellectual freedom and affirms the American Library Association’s Freedom to Read statement [Appendix] and the Library Bill of Rights [Appendix]. As such, materials representing diverse viewpoints on topics, including controversial ones, are actively collected. Selection of an item does not indicate that the Library, its Board, or its Staff agrees with the ideas and viewpoints it presents. Adults- Fiction material is heavily bought in order to meet the needs of the adults in the community. Young Adults- Teenagers have an ever changing demand for the new series and/or book that has just came out. Students- The Harvey Public Library has homeschooling families that come in to gather material for their upcoming lessons. The material selected is based on what we currently don’t have and adding to and replacing the material that we do have. Children from the Harvey Public Schools come to the public library to seek information that the school library might be missing. The library director is responsible for selecting the material they feel would add to the collection. The director will take into account patrons requests for certain items. Selection of library material is an active process that applies both to materials purchased by the library and materials donated to it. The following criteria are used in the selection process to help ensure that all materials in the library are in keeping with its goals and mission and are of use to the community served. The Harvey Public Library is involved in the Interlibrary Loan Process. The Harvey Public Library has the right to deny another library’s lending request. The Harvey Public Library will attempt to get any book requested by a patron by borrowing it from another library. The patron will have to pay the shipping fee which is $3.07 per book. The consideration will be listened to calmly and courteously. The Library’s selection policy and commitment to intellectual freedom will be explained, to help the patron understand the value of a diverse library collection and that ownership of an item does not indicate agreement or endorsement of the ideas, values, or principles expressed therein. This will be done respectfully and in a fashion that acknowledges and restates the patron’s concerns. If the patron has recommendations for other materials on the topic, they will be noted, and if appropriate, procured. If the patron is not satisfied, advise the patron of the library’s policy and procedures for handling a reconsideration request, and provide the patron with a copy of the Library’s Selection Policy and of the Request for Reconsideration Form. If the form is filled out, make sure a prompt written reply related to the concern is sent. The item shall remain part of the collection until a decision has been made. Notify the Director and/or the Library Board of the complaint and assure them that the Library’s procedures are being followed. Present full, written information giving the nature of the complaint and identifying the source. Notify the Chairperson of the North Dakota Library Association’s Intellectual Freedom Committee that a reconsideration request has been filed. Reading/viewing/listening to the challenged item in its entirety. Considering the objections in terms of the Library’s Selection Policy, the principles of the Library Bill of Rights, and the opinions of various reviewing sources used in materials selection. If the reviewed material does not meet the criteria set forth in the Selection Policy, the Library shall acknowledge that the material is unsuitable and it will be withdrawn from the collection. The Director will respond to the request clearly and precisely, stating the reasons the material was withdrawn or retained. This response will also inform the requestor how to pursue the matter further. If the requestor feels that the problem has been dealt with inadequately, a final appeal to the Library Board can be made. A public hearing will be conducted with the Board acting as the decision-making body. The Director will notify the American Library Association Intellectual Freedom Office, and their advice will be enlisted. An open meeting will be held—the location, beginning, and ending times of the meeting will be publicized in advance of the meeting. The meeting will be conducted by the Director. The Library Board will act as the decision-making body. A quorum must be present. News coverage will be arranged by the Director. Persons wishing to speak must register prior to speaking, giving their name, address, and organization represented (if any). Each speaker will be given four minutes in which to present his/her point of view. A timekeeper will be appointed prior to the meeting. Library Board members will be given time to ask questions following each testimony. Each speaker should present a written copy of his/her testimony to the Library Board members. The Board will review the testimonies heard. They will vote at a later date after they have had time to weigh and consider the testimonies. The Board will issue its opinion within thirty working days after the hearing. The Board will make their decision public and the Library will take action in accordance with that decision. The residents of Harvey do not have to pay to get a library card. Anyone living outside of the city of Harvey must pay $20/year or $10/3 months. A patron with an account in good standing (owing < 5) can check out as many items as they would like. A hold request may be placed on any Harvey Public Library materials that are currently checked out. You will be notified when your requested item is available. You will have 7 days from when you receive this notice to pick up your item before it will move on to the next person in the hold queue. Hold requests may be placed online, in person, or by calling us at 701-324-2156. If you are interested in obtaining materials not held in our collection, the Harvey Public Library provides Interlibrary Loan services for our cardholders. Requests for materials that are available within North Dakota will be processed free of charge. A $3.07 shipping fee will be charged to each book received upon request. If the request is for a reproduction of a journal, magazine, or newspaper article, an additional copying fee may be levied by the institution which fills the request. A renewal may be granted for any Harvey Public Library materials that do not currently have hold requests for them. Materials may be renewed a maximum of 3 times. Interlibrary loan materials will be renewed at the discretion of the lending library. If you need to renew an item, please request the renewal before the item is due. For materials that are in-print, charges will be based on the cost of replacement. For materials that are out-of-print, charges will be based on the average cost of a hardcover book, as listed in the most recent edition of The Bowker Annual. For a multi-volume set of books, charges will be based on the replacement of the lost volume, if it is replaceable. If a volume cannot be replaced individually, the charge will be based on the cost of the entire set. For a lost or damaged component of an audio-visual set, charges will be based on the replacement cost of the lost component, if it is replaceable. If a single piece cannot be replaced, charges will be based on the cost of the entire set. The amount paid for a lost item will be refunded if the item is returned within 30 days of the date payment was rendered. The following policy is adapted from the recommendations put forth by the Texas State Library and Archives Commission in the 2008 publication CREW: a Weeding Manual for Modern Libraries, revised and updated by Jeanette Larson. Shelving space is finite and in order to fulfill our mission and meet the diverse cultural, educational, research, and personal enrichment needs of our community, the materials we offer must be current, accurate, relevant, and in a useful format and condition. Subsequently, materials that are no longer accurate, used, or useful must be withdrawn from the collection. This does not mean that they were a waste of money, just that they have fulfilled their purpose. The following criteria need not be applied to items with local historical value, which typically possess appeal, significance, and scarcity in excess of materials of no cultural relation to the region. Local history materials may be retained indefinitely. Non print materials can lose utility and vitality as technology advances. Older formats, such as filmstrips, slides, audiocassettes, videocassettes, computer software on magnetic media (floppy disks), etc. should be culled from the collection as the devices needed to make use of them obsolesce. The same holds true for sets and kits that include obsolete components. Optical media (DVDs, Blu-ray discs, CDs, etc.) should be replaced or withdrawn if they are chipped, cracked, warped, or have deep scratches that affect their play. · Publications more than 3 years old. · Current editions of Dummies and Idiot’s Guide books. · Manuals for popular software releases (Microsoft Office, Adobe Photoshop, etc.) should be kept for both the current and preceding versions. · Guides on programming languages may remain relevant for longer periods. · Publications more than 10 years old. · Titles which have not circulated in 3 years. · Titles dealing with obsolete services, material types, or technologies. · Publications more than 5 years old (reference). · Publications more than 8 years old (circulating). 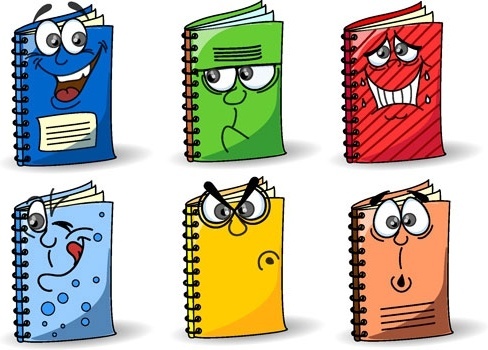 · Directories for writers more than 2 years old. · Other publications more than 5 years old. · Trivia books and books on oddities, controversial knowledge, UFO’s, and the unexplained can experience uncommonly lengthy periods of public interest. De-select only if they have not circulated in 3 years. · Publications more than 15 years old. · Titles that have not circulated in 5 years. · Replace worn classics with new editions. · Titles that have not circulated in 3 years. · Publications more than 5 years old. · Titles that have not circulated in 2 years. · Strive to ensure that each religion represented by a church, synagogue, or other place of assembly in your service region is represented in your collection. · Include timely and comprehensive information on Buddhism, Christianity, Hinduism, Islam, Judaism, and Taoism. · Publications more than 2 years old. · General guides to the political process and the electoral system may be retained as long as they are accurate and circulating. · Biased, unbalanced, and inflammatory items. · Histories of immigration to the U.S. may be retained as long as they circulate. · Career guides with gender, racial, or ethnic bias. · Books on tax return preparation and estate planning that do not account for recent changes in the law. · Study guides for law school more than 3 years old. 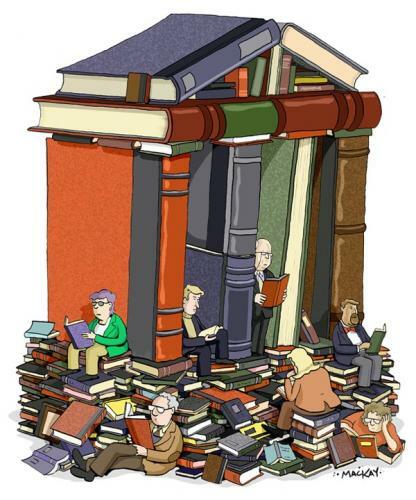 · Books on the history of major legal cases may be retained as long as they circulate. · Histories of government agencies and the military may be retained as long as they circulate. · Replace worn true crime classics with new editions. 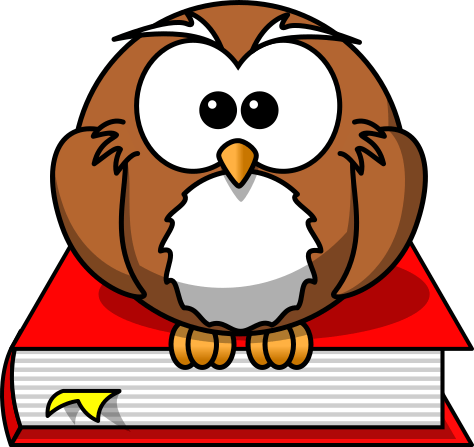 · College guides and entrance exam books more than 5 years old. · Books that reflect gender, family, racial or ethnic bias. · Books that reflect racial or ethnic bias. · Replace stock dictionaries of major foreign languages on a rotating basis. · Replace unabridged English dictionaries when new editions are published. · Replace other English dictionaries more than 5 years old. · Stargazing books may be retained as long as they circulate. · Field guides for amateur fossil, gem, and rock hunters more than 10 years old. · Meteorology books that include weather charts more than 10 years out of date. · Geology books on North Dakota may be kept until superseded by newer editions. · Field guides may be retained longer, especially those that cover North Dakota. · Publications more than 7 years old. · Publications on genetics, genetic engineering, human biology, and evolution more than 5 years old. · Books sensational in tone. · Guides to medicinal plants and herbs more than 5 years old. · Books lacking color illustrations. · Replace worn classics (like Gray’s Anatomy) with new editions. · Publications on organic gardening and the use of pesticides and chemicals more than 5 years old. · Books with black and white photographs. · Histories of specific breeds may be retained as long as they circulate. · Replace worn classic cookbooks with new editions. · Publications on desktop publishing and printing technology more than 5 years old. · Retain repair manuals for appliances until the technology is obsolete. · Retain works on tools and farm implements still used in your community. · Books that don’t include good reproductions of major artworks. · Replace identification and price guides on antiques and collectibles when newer editions become available. · Books with gender or racial bias in sports and athletics. · Books with outdated statistics. · Best-of-the-year anthologies more than 5 years old. · Guidebooks more than 3 years old. · Travelogues more than 5 years old, unless of high literary or historical value. · Retain books collecting primary documents or including archival photographs. · Ghost written celebrity autobiographies more than 3 years old. · Biographies published immediately following the subject’s death or a major scandal more than 3 years old. · Replace biographies of people of ongoing interest at least once a decade. · Series with missing volumes if the books do not stand alone. · Replace worn copies of works of high literary merit with new editions. · Titles that have not circulated in 1 year. · Replace worn copies—commercial re-bindings are unattractive. · Classic works, such as Maus: a Survivor’s Tale, may be retained indefinitely and replaced with new editions when worn. · Issues that are more than 3 years old. · Locally produced items may be retained indefinitely. · Books that reflect racial or gender bias. · Award-winning titles that have not circulated in 3 years. · Other titles that have not circulated in 2 years. 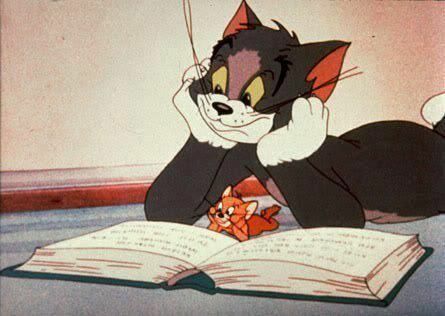 · Abridged and simplified classics. J and YA Nonfiction Use adult criteria for each Dewey category. The Library Board of Directors recognizes its responsibility to protect the privacy of each patron’s personal records relating to their use of library materials. We affirm patrons’ Freedom to Read, as set forth by the American Library Association (Attachment 1). Records are required for controlling the use of library materials both on and off the library premises. These records are not in any way intended for the purpose of monitoring a user’s reading or pursuit of information. Circulation records are kept to protect public property. Summary statistics of library use are kept to measure organizational activity. Any record maintained or received by Harvey Public Library, which provides a library patron’s name or information sufficient to identify a patron together with the subject about which the patron requested information, is considered private and is exempted from the public records disclosure requirements of NDCC 44-04-18 pursuant to NDCC 40-38-12 (Attachment 2) and shall not be made available upon request of any person other than the patron. However, library records shall be released when required pursuant to a court order, search warrant, or subpoena. Only the Library Director or [his/her] representative is authorized to release requested records pursuant to a court order, search warrant, or subpoena. A complete record of the information released, a signed receipt form and a copy of the court order, search warrant, or subpoena will be retained in a file designated by the Directory. Should any question arise, the Library Director will consult the Library Board of Directors and the City Attorney. The Library Board shall take steps to request that the issuing court grant an appropriate court order to assure that any information released pursuant to a court order, search warrant, or subpoena shall be limited to the specific need for which it was requested and further released only to a person with the need to know the information. It is the responsibility of publishers and librarians, as guardians of the people’s freedom to read, to contest encroachments upon that freedom by individuals or groups seeking to impose their own standards or tastes upon the community at large; and by the government whenever it seeks to reduce or deny public access to public information. It is inevitable in the give and take of the democratic process that the political, the moral, or the aesthetic concepts of an individual or group will occasionally collide with those of another individual or group. In a free society individuals are free to determine for themselves what they wish to read, and each group is free to determine what it will recommend to its freely associated members. But no group has the right to take the law into its own hands, and to impose its own concept of politics or morality upon other members of a democratic society. Freedom is no freedom if it is accorded only to the accepted and the inoffensive. Further, democratic societies are more safe, free, and creative when the free flow of public information is not restricted by governmental prerogative or self-censorship. NDCC 40-38-12. Library records – Open records exception. Any record maintained or received by a library receiving public funds, which provides a library patron’s name or information sufficient to identify a patron together with the subject about which the patron requested information, is considered private and is excepted from the public records disclosure requirements of section 44-04-18. 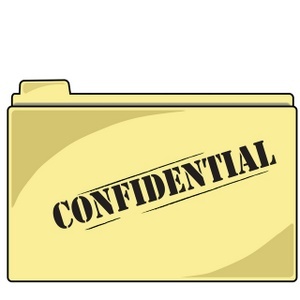 These records may be released when required pursuant to a court order or a subpoena. The Library gladly accepts donations of books and A/V materials, with the understanding that they are subject to the same criteria for inclusion in the collection as purchased materials. The Harvey Public Library reserves the right to accept or dispose of any gift through transfer to another library, sell for the book sale, charitable donations, or to discard them. The library will not provide a valuation of donated materials for tax purposes. Items that will not be accepted for donation include: items that are moldy or foul-smelling, items that are visibly water damaged, and items in poor physical condition. Subscriptions for which there is no indexing and which have limited appeal are marked “Complimentary” and no back files are kept. The Library accepts monetary donations without conditions on their use or for projects previously approved by the Board. Such money is deposited in the Trust Account for future expenditure by the Board. Donations will also be accepted for the purpose of purchasing library materials consistent with the Library’s Selection Policy. Such money is deposited in the Trust Account for expenditure by the Library Director. The Library actively encourages donations as memorials and as tributes to living individuals on special occasions. Such acts provide the Library with an opportunity to add materials or equipment which it might not otherwise be able to afford. These donations also provide individuals with a rich opportunity to honor loved ones with a lasting statement of admiration and respect. The Library will make every effort to honor the donor’s wishes regarding the selection to be purchased. However, the final decision rests with the Library in accordance with its needs and selection criteria. Bookplates will be placed in items purchased with memorial and tribute gift funds. Each bookplate will record the honoree as well as the donor. The Library will send letters to notify all parties of the gift. Does it conform to the general architecture of the building? Will it fit comfortably into the space available? Is the object appropriate to Library objectives or would it be better elsewhere? Will it cost more to accept the gift than it is worth to the community? Costs that must be weighed may include: insurance, restoration, display, maintenance, storage, etc. Is it generally acceptable to the Board? No such gift will be accepted, unless it is freely given and with the agreement that library may dispose of the gift as it sees fit (including selling it, discarding it, or giving it away) and store the gift or move it to various locations. All gifts shall be acknowledged with a personal note from the Director to the donor. The decision as to the acceptance of furnishings, appliances, and equipment shall be made by the Library Board on the advice of the Director. Criteria influencing the decision include need, space, impact on staff, and expense and frequency of maintenance. The decision as to the acceptance of all other gifts not previously addressed in this policy shall be made by the Library Board on the advice of the Director. Larson, Jeanette and Herman L. Totten. Model Policies for Small and Medium Public Libraries. New York: Neal-Schuman Publishers, 1998. Items that publicize community organizations and local events further the role of the library as the central source for civic, cultural, education, and recreational information. The library welcomes and encourages the display of such information on its bulletin boards and brochure racks. Bulletin board display space is available for community organizations to disseminate information. Posters and flyers displayed on the bulletin board may be no larger than 8 ½ inches x 14 inches. Only one copy of a notice is permitted. Bulletin boards may not be used for personal or commercial advertisements. Items may be displayed for a maximum of one month. Library staff will remove items that have expired or that have been posted for one month. Items removed will be discarded; flyers and posters that have been displayed cannot be returned. Brochure racks may be utilized to distribute flyers, brochures, leaflets, newspapers, and pamphlets that provide information about non-profit, civic, educational, cultural, or recreational organizations and events. Materials that promote programs or projects of a personal or commercial nature may not be distributed in the library. Any material that is discriminatory in any way is not to be displayed or dispersed in the library. Items may be distributed for as long as they are valid. If space becomes limited, preference will be given to items of a timely nature and to organizations or group that have not recently distributed items. Literature related to political campaigns will be distributed for thirty days preceding an election. All items for posting or distribution must be presented to the library director for approval; library staff will date and place items on the bulletin board or in the brochure rack. Distribution and posting of items by the library does not indicate endorsement of the issues, events, or services promoted by those materials. The library reserves the right to remove any posted item. Items left or posted without approval will be removed and discarded. Patrons who violate any of these guidelines will be given notice of this policy. A violation may result in a patron’s expulsion from the library, suspension of library privileges, or criminal prosecution or other legal action, as appropriate. The Harvey Public Library’s meeting rooms are for meeting or programs of an educational, philanthropic, cultural, recreational, or civic nature, where a diversity of viewpoints is permitted, and for other functions, which, in the judgment of the Board of Trustees, will benefit the residents of the community. Federal, State, County, and City governments and their agencies. All other uses are on an equal-access, content neutral, first come, first served basis. Scheduling of a meeting or program of a group or organization in the Library does not in any way constitute an endorsement by the Library of the group or organization, its activities, or of the ideas and opinions expressed during the course of meetings or programs held at the Library. The use of the name, address, or telephone number of the Harvey Public Library as the address, contact information, or headquarters for any group or organization using the Library for meeting purposes is prohibited. Publicity generated by a group advertising a meeting at the Library may recite the Library name and address only. Any other mention requires the express approval of the Library Director. The Library does not provide storage space for any person, group, or organization. Refreshments are allowed, but care must be taken to avoid damaging carpets, furniture, or other library property. Failure to comply may result in additional charges and forfeiture of future use. Furniture moved during the use must be rearranged as found prior to vacating the room. The room must be cleaned and straightened, the lights turned off, and the door locked, before the key is returned. Failure to do so may result in additional charges and forfeiture of future use. The Library shall not be held responsible for the security of property owned by any individual or group using meeting rooms. Activities are prohibited which the staff believes may cause damage to persons or property or threaten the security of the facility. Use by individuals, groups, or organizations failing to abide by library policies is prohibited. Activities are prohibited for which fees are charged, except when prior authorization has been issued by the Library Director (such as author talks with books available for purchase). Activities that generate sales directly or indirectly, must be rented under the “for-profit” classification (see Scheduling and Rates, below). If the Centennial room is used after hours a key will be given to the person in charge of the event. That person is responsible for making sure the library is locked and that all of the lights are turned off. Attaching items to walls or ceilings is prohibited. Only erasable markers are permitted to be used on Library white boards. Alcoholic beverages and the use of any tobacco products are prohibited unless approved by city council through owner of liquor facility. Rooms are scheduled by administrative staff on a calendar year basis. Fees must be paid in advance of use and appropriate usage forms signed. Children are encouraged to use the Harvey Public Library as a place of study and inquiry. The library encourages parents, guardians, and caregivers to use the library with their children. Children six and under must be accompanied at all times by a responsible party. Pre-teens and any child not able to travel alone must be picked up prior to closing. Disruptive juveniles may be asked to disperse at the librarian’s discretion. Parents are responsible for the behavior of their children; guardians and caregivers are responsible for the behavior of children in their care. The library is not responsible for the safety or security of children left unattended. Interlibrary Loan (ILL) represents a mutual agreement among libraries in North Dakota and throughout the United States to share their library resources. Through ILL we are able to borrow from other libraries materials that are not available within our library system. While we try hard to serve the diverse needs and interests of our community, our resources are limited and it is impossible to purchase everything that may be of interest to everyone. Interlibrary loan enhances our ability to provide you with materials you need and want. Interlibrary Loan service is available to current Harvey Public Library cardholders who have a library card in good standing, owing fees of any kind would prohibit any interlibrary loan transaction. A patron is allowed up to five active ILL requests at one time. Active requests include those on loan as well as those in process. Any materials not currently owned by Harvey Public Library may be requested through ILL. Every effort will be made to supply the requested material, however new items, archival materials, audiovisual, and other materials may not be available. Photocopies of articles from magazines or periodicals can also be requested. Providing an accurate citation of the material you are looking for is extremely helpful. Please be as specific as possible when requesting historical material. There may be an extra charge for historical materials requested from outside the state. Some historical materials may be lent out on the condition that they are only used within the library. Interlibrary Loan requests can be made from our online catalog, in person at the Reference Desk, or by calling 701-324-2156. Please give as much information as possible about the material you are requesting. Requests for materials that are available within North Dakota will be processed free of charge. Patron will be responsible for the shipping charge which is $3.07 per book. We cannot estimate a turnaround time for an ILL request, as waiting periods vary. In some cases, the process can take longer than three weeks, though in most cases turnaround is much sooner. You will be notified by phone when your material arrives. Unfilled requests, overdues, recalls, and other matters will also be communicated as needed. Loan periods vary for ILL items as they are set by the lending institution. In some cases, an institution will recall an item that has been loaned out. 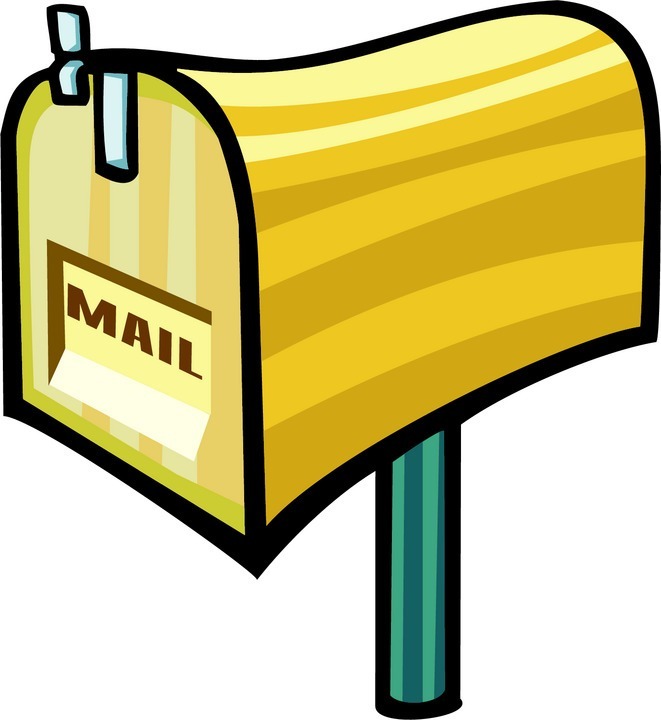 Requests for renewals must be made on or before the item’s due date. Renewals are granted at the discretion of the lending library and cannot be guaranteed. Fines for overdue ILL materials are $1 per week per item. Replacement costs for lost or damaged material are set by the lending institution. Please contact the Reference Desk at 701-324-2156 or e-mail us at hpublib@gondtc.com for more information or to place a request. The maximum shipping cost for loaning to other libraries is set at $25 per week. Attendance statistics and evaluations are kept to determine the impact of the program on the audience, to help in preparing budgets, and to aid in future planning. A consistent effort is made to represent diverse cultures in programming, rather than replicating local holiday observances. Quality programs form an integral part of library service. Therefore, the Harvey Public Library will provide staff time, materials, and training to maintain quality programming. In addition to program time for the presenter, there may be other staff requirements. Programs with anticipated large attendance may require additional staff or volunteer help to assist with the program. It is important that ample staff be available to provide assistance to library audiences before, during, and after the program. This policy is a statement of the Board of Directors of the Library, intended to be used in conjunction with other existing policies to guide administration of open access Internet resources. Patrons are required to sign in to use the public internet computers. Every user under the age of 17 must have a parent of guardian’s signature on file. Minor forms must be signed by parents or guardians within the library. By signing in, patrons agree to the terms of the library policy. Usage may be restricted to thirty minutes if there are patrons waiting to use the computers. Parents are responsible for the behavior of their children. The library accepts no responsibility for lost or misplaced items. The library accepts no responsibility for what patrons access online. The Internet contains all kinds of resources offering many types of information; some information may be offensive to some users. Filtering is provided in compliance with the Children’s Internet Protection Act (CIPA). Patrons will be charged $.25 for each page printed. Access to Wi-Fi is covered by the terms of this policy. Library telephones shall be used by library patrons in emergency situations only. The librarian has the right to use their discretion on the amount of time that is reasonable for the circumstance at hand.